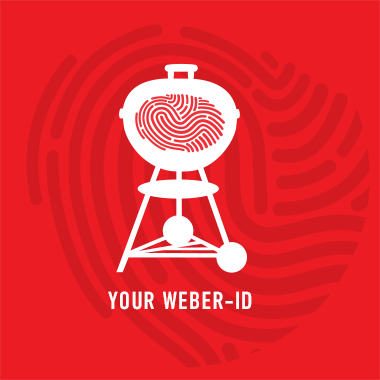 Smoking on a charcoal grill is really easy to do, especially if you are already comfortable grilling with indirect heat. Begin by filling a chimney starter about one-third full with briquettes. When they are fully lit, pour all of the charcoal on one side of the cooking grate (if desired, use a charcoal basket, which holds the coals close together so they burn more slowly) and place a large disposable foil pan on the other side. Then, carefully add about 2 or 3 cups of water to the pan. The water in the pan is important because it helps to maintain a low cooking temperature. It also adds some moisture to the food, which in many cases will cook for hours and hours, so it could dry out otherwise. Allow 30 minutes to 1 hour for the coals to burn down to the correct temperature and the water to heat up. 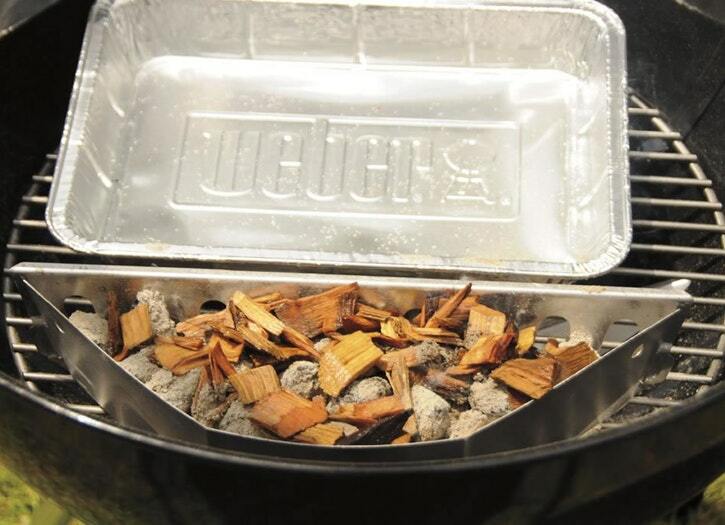 Next, drop damp wood chips or dry wood chunks directly onto the coals. Then place your food on top of the cooking grate over the water pan and cover your grill. Expect to add more coals every hour or so to maintain the heat.